One of the highest quality Santa suits we have available. The plush fabric and faux fur the costume is made from are just gorgeous and look great. The costume is soft and fluffy to the touch and gives a great look to the perfect Santa. Topping off this costume is the easy access zip front, inside lining and matching accessories. NOT INCLUDED: Gloves, glasses, bell, shoes. PLEASE NOTE: This costume does run large, the jacket is closer to an XL size/127cm, and has plenty of room for a big Santa belly, or padding. 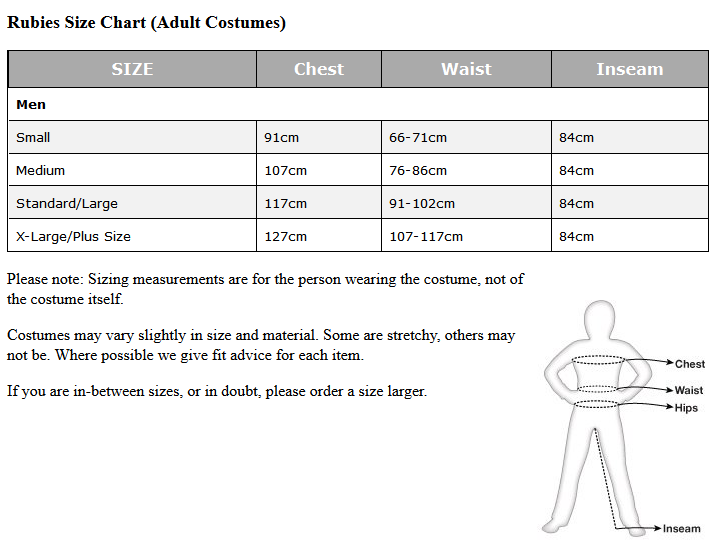 The waist size is 117cm with the comfy pants. Please also note that the beard is shorter in length and thinner than pictured.